Suitably damp today with a very Welsh sort of mizzle falling. I don't think we've ever had a St David's Day with more daffodils! Usually I have to rummage on 1st March for a daffodil for Pp to wear, and often, only the very early 'February Gold' variety is in flower. Not this year. 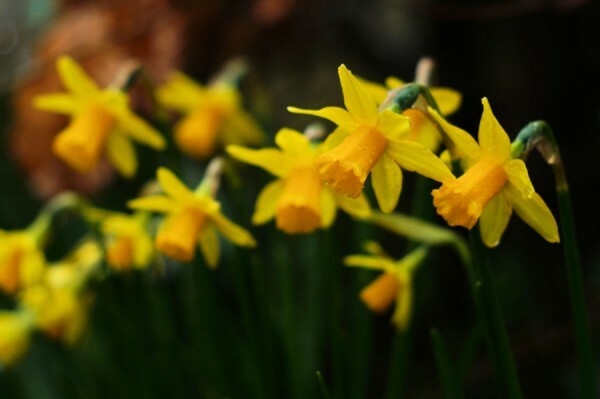 Happy St David's Day to you as well! Lovely pic combining daffodils and rain - very appropriate for the day! Spring is here, then. Thank God. Those blooms are gorgeous, all light and warmth.